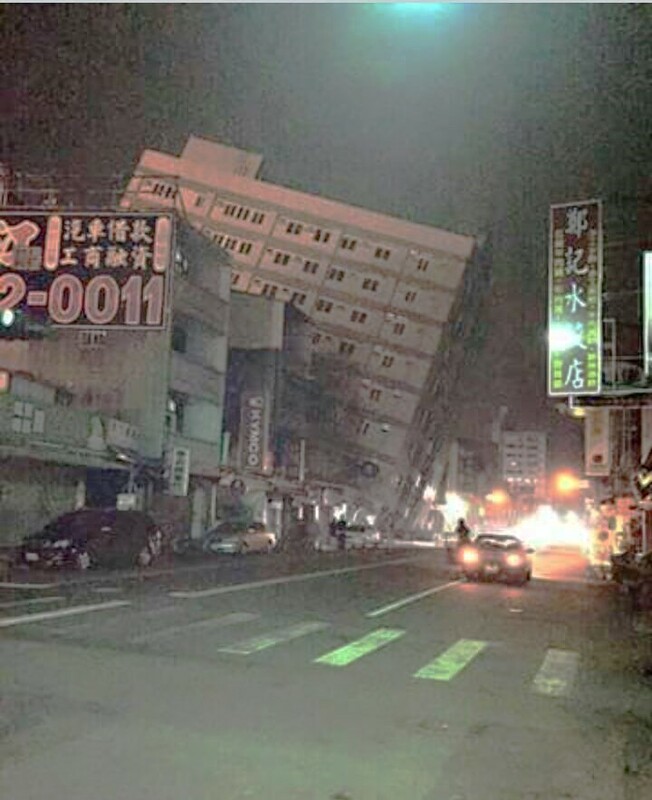 A scene from Kaohsiung’s Meinong district after the Saturday quake. Photo courtesy by MrOss Kho. Kaohsiung, Taiwan – [02.07.16] – At least there were no reported yet of death, injury and missing Filipino overseas workers during the 6.4 earthquake that hit southern Taiwan, particularly in Kaohsiung district amidst the rising numbers of casualties, a Filipina resident Kaohsiung said on Sunday. Dito po ako sa Kaohsiung ung na hit ng lindol but thanks G0d po safe yung place namin, yung ibang part ng Ka0hsiung ang affected.. sa Tainan may gumuhung 18th st0rey building..dpa. p0 sure if may kababayan tau na nasama dun… [I am here in Kaohsiung now, the area that was hit by the earthquake, other areas of Kaohsiung was affected, in Tainan there is an 18th storey building who collapsed, but it is still uncertain if we have a compatriot that was affected, the source told The Philippine Examiner. There are 14 persons dead including a ten year old toddler, 484 injured and 153 missing as of today according to Taiwan Rescue Central Emergency Center. Emergency responders was able to rescue 348 persons. There are 4,881 rescuers, 24 rescue dogs, 146 vehicles and five helicopters who are working on the rescue and retrieval operations in the quake stricken areas. Tainan District is a host to more or less 5,000 Filipinos factory workers. Your observation is noted, thanks.